Podere Ferranesi, Villa Giardinello and Art hangar are managed by Tuscan Experience luxury accommodation collection. Direct booking will show you all possibilities in the 3 accomodations. Podere Ferranesi is an old farm, located in the heart of Tuscany near Asciano. 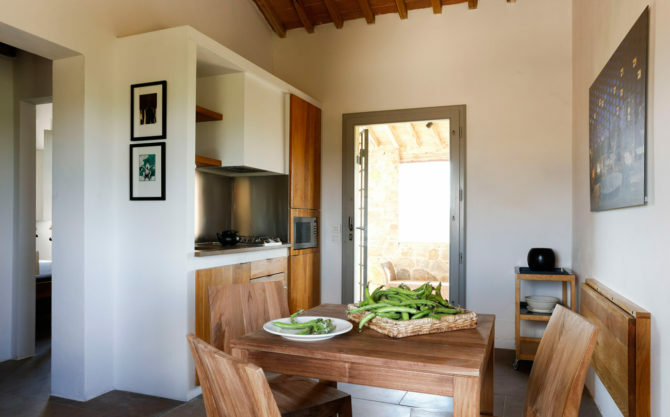 The farm was reconstructed in the original rural Tuscan style found in the ”Crete Senesi” area, and offers the opportunity to spend dream holidays. 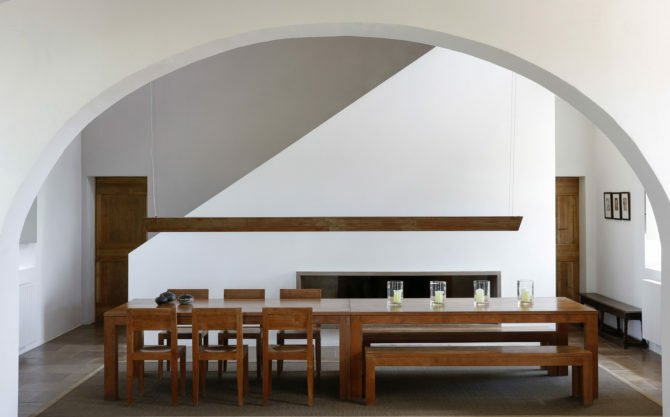 The luxurious interior of minimalist architecture perfectly matches the simplicity of the old Tuscan farm style. [vc_row disable_element="yes" el_class="nascondi"][vc_column][vc_column_text] La vita è bella is the main part of this ancient Tuscan farm, suitable for up to eight people. On the ground floor, you can find a large dining room, a living room, an exhaustively equipped kitchen, a library and a multi media collection. On the first floor there are four bedrooms, each with a separate bathroom. There is a large covered terrace. 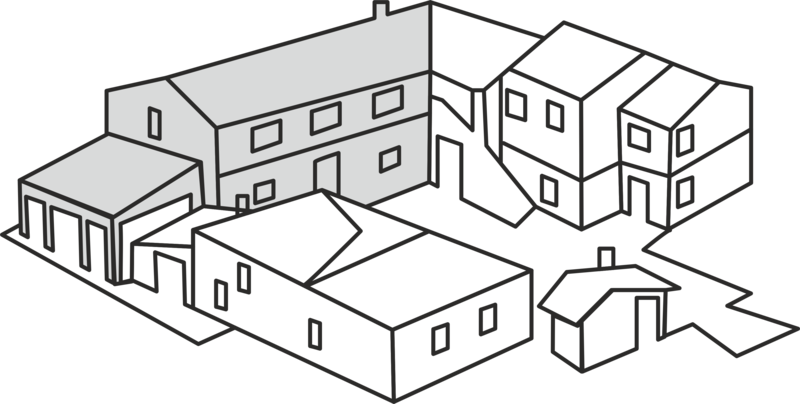 The total surface is 300 m². [vc_row disable_element="yes" el_class="nascondi"][vc_column][vc_column_text] This smaller house is perfect for four to five people and has two bedrooms and three bathrooms. 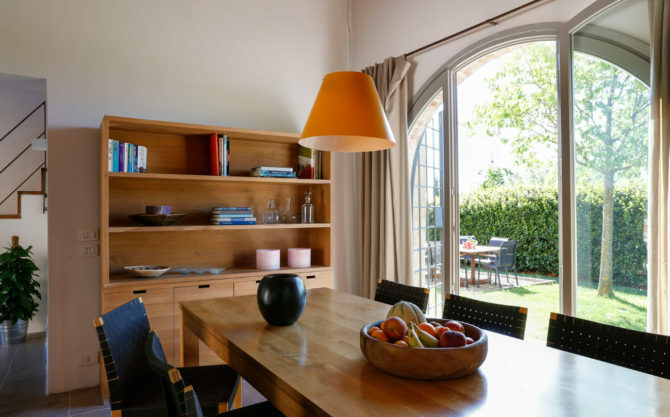 There is a well accommodated kitchen connected to the dining room and a large living room, as well as a covered terrace and own private garden. 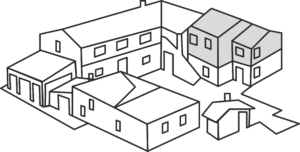 The total surface is 130 m². [vc_row disable_element="yes" el_class="nascondi"][vc_column][vc_column_text] This unit, located on the first floor, is ideal for two to three people. 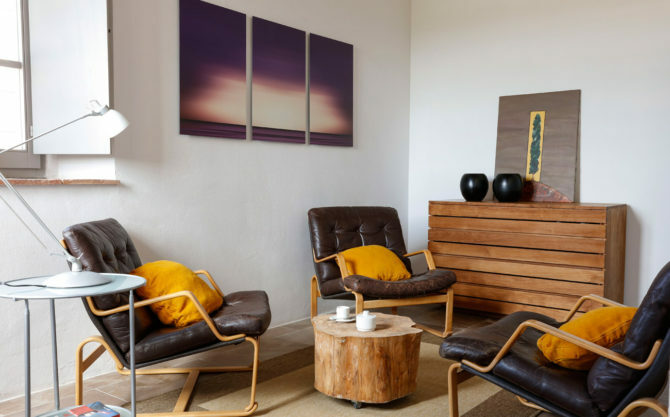 It has a small but well equipped kitchen integrated in the living room, a double bedroom and a sitting area which can be converted in a single room. There are two separate bathrooms, and a nice, small covered terrace with private pergola as well on the ground floor. 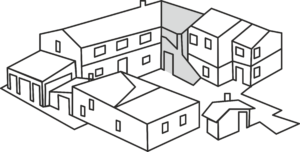 The total surface is 60 m². [vc_row disable_element="yes" el_class="nascondi"][vc_column][vc_column_text] This unit, located on the ground floor, is ideal for two to three people. It has a small but well equipped kitchen integrated in the living room, a double bedroom and a sitting area which can be converted in a single room. There are two separate bathrooms, and a nice, small covered terrace with pergola aside. 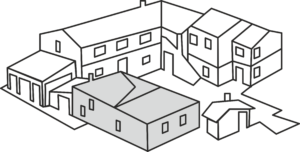 The total surface is 60 m². [vc_row disable_element="yes" el_class="nascondi"][vc_column][vc_column_text] This flat is perfect for two people. 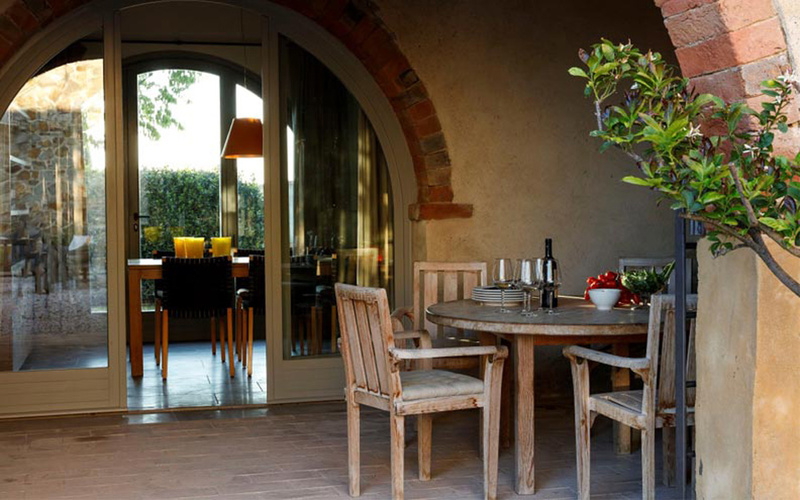 It is located on the first floor and offers a splendid view towards Pienza. 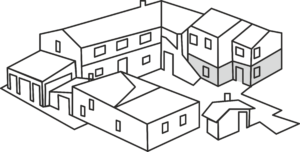 It is equipped with a small kitchen, a bedroom and a bathroom. The surface is 30 m². 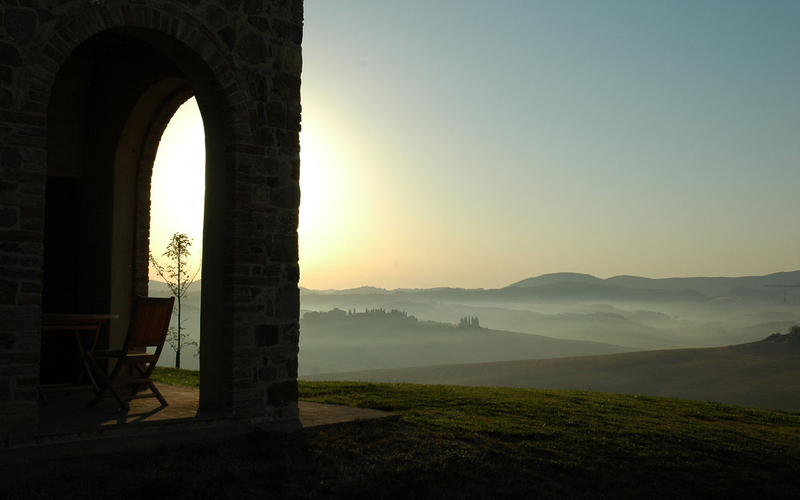 From everywhere on the property you will enjoy the amazing view on the Crete Senesi. In a world where silence and peace becomes more precious every day, this piece of heaven will concor your heart immediately. 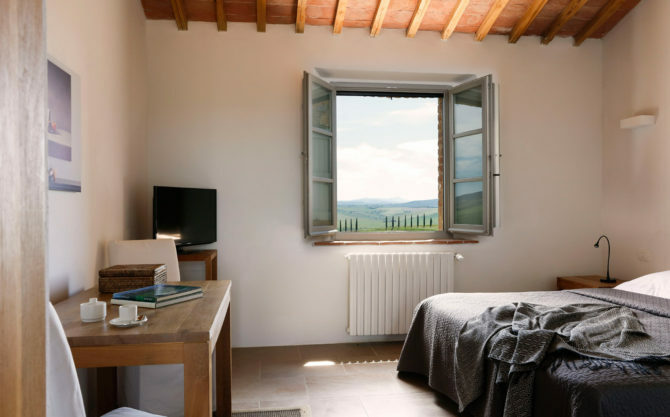 Located in the heart of Tuscany, 30km south-east of Siena, near Asciano, Podere Ferranesi is an old farm, which was completely renovated in 2002-2003. Dating back from the middle of the 19th century, it was abandoned in the fifties and remained a ruin until 2002. 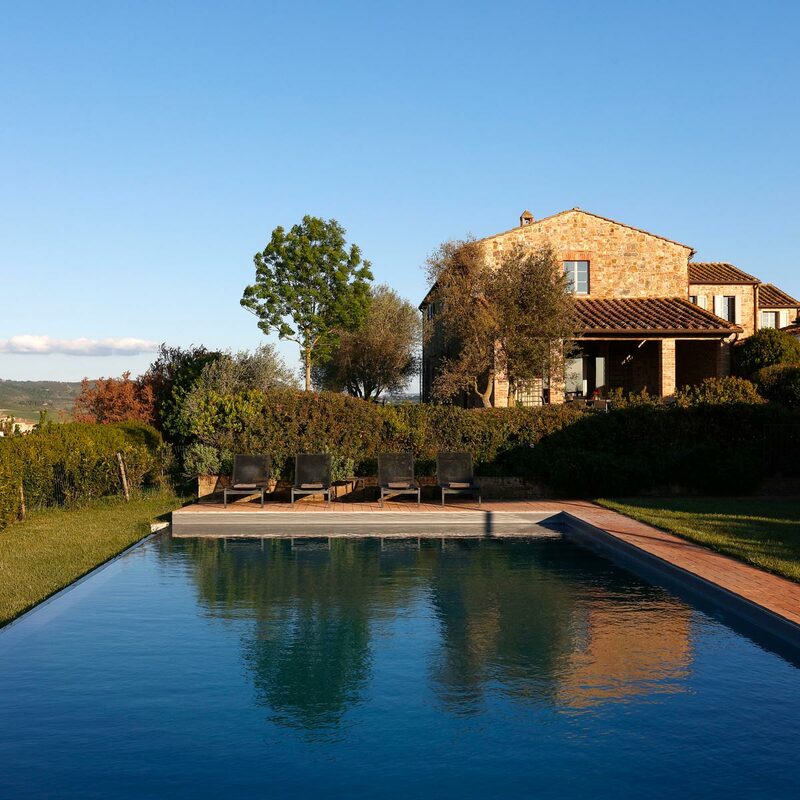 Subscribe to get a free Newsletter and to receive special offers of our proposal for your tuscan holiday in Ferranesi.